It seems like we read about data breaches more and more frequently, these days. While nothing can protect you 100% of the time, there are tools and systems available to help keep malware away from your website. Our knowledge of Internet Security make the safety of your website a top priority to us. We install tools on your website to monitor traffic that is attempting to log into your website. Using weak passwords and/or guessable administrator usernames. Not keeping your site up to date (WordPress, PHP, Theme and Plugins). Updates frequently contain security patches, and postponing or ignoring the updates opens up holes that bad guys can exploit. We offer a low cost monthly plan where we visit your site and make sure that backups are running, software is up to date and check the logs to see if there’s been any unusual activity. 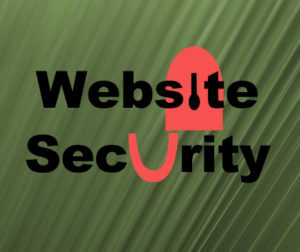 We’d love to build and manage the security of your website. Contact us today so we can help you keep your site and your visitors safe.